Stumbled across the fascinating Unearthed website today, a unique mix of one-of-a-kind finds of all sorts: architectural, vintage and industrial objects for home, office and garden. It’s an excellent place for a browse and a peep into the past, both near and far. 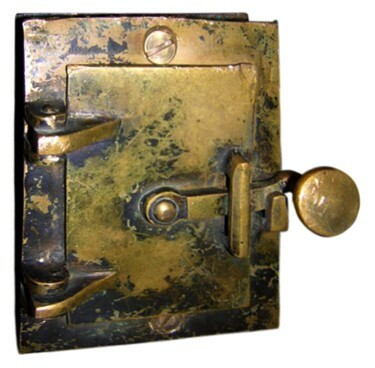 I had no clue what this item was until I read its description: apparently it’s a late-1800s Convent Door Brass Peep Hole! See if any of Unearthed’s currently available nicely refurbished items can surprise you. Hey, thanks for leaving a link to your blog in my comments, Deb! That is an awesome latch-so much history behind it. I'll have to check out that website more.